One of Drum Corps International's oldest show sites will meet one of the activity's newest phenomena when SoundSport makes its way to Allentown, Pennsylvania as part of the 2017 DCI Eastern Classic on Saturday, August 5. On top of bringing the excitement and intrigue of SoundSport to a passionate audience, the event will take place prior to the night's competition in the park just outside J. Birney Crum Stadium, which has historically been a favorite scenic location to watch DCI corps warm up for their performances. While tickets are required to watch the DCI Eastern Classic competition inside the stadium, this SoundSport event will be totally free and open to the public. With DCI hosting events in Allentown since 1977, there comes a rich tradition in performing for the drum corps savvy fans who annually assemble from throughout the east coast in Pennsylvania. Confirmed SoundSport teams for the August 5 event currently include the Mon Valley Express of Pittsburgh, the Columbus Saints of Ohio and Sonus Brass Theatre of Woodbridge, Virginia. Hjellming says that additional performance slots are available for musical ensembles and can be secured by contacting SoundSport@dci.org. SoundSport teams typically consist of five or more members of any age and any instrumentation. Competing groups perform five- to seven-minute productions on a 30- by 20-yard performance stage area. 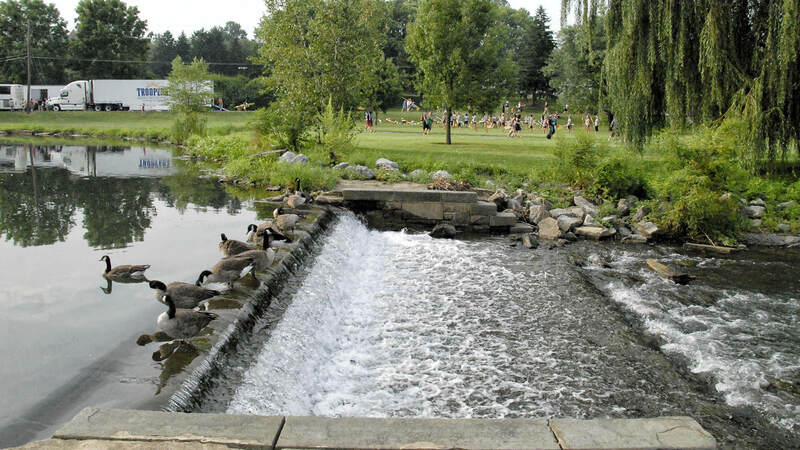 The expansive natural setting at Cedar Creek Park will make for the perfect SoundSport location staged just east of Lake Muhlenberg, a spot often used for color guard warm-ups. With a focus on audience engagement, the up-close experience will be an added bonus to DCI Eastern Classic fans this August. Hjellming says the new Allentown event will have a similar feel to what Drum Corps International has staged for a number of years in Indianapolis during World Championships Week as the SoundSport International Music and Food Festival. “The idea is to take the performances to the crowd,” said Hjellming. “Take the outdoor atmosphere, add a little bit of food, and some ambiance, and this new location naturally lends itself to a ready-made SoundSport stage." Hjellming also hopes the event will engage the large base of drum corps alumni in the Allentown area, with the possibility of seeing new teams rise up thanks to SoundSport's all-inclusive guidelines.